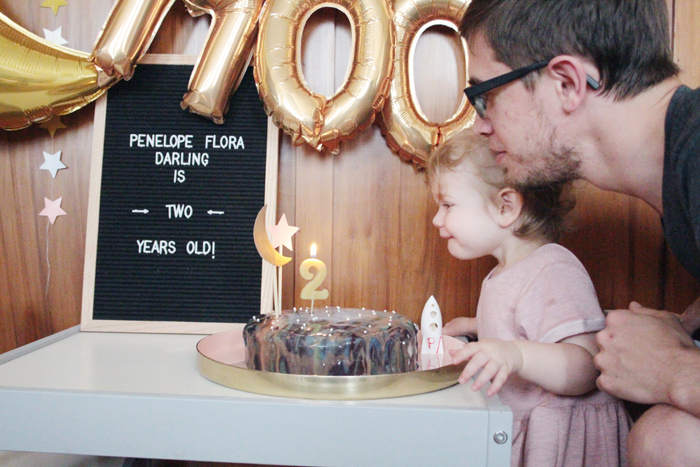 Owl Love You 2 The Moon : Penny Turns Two! If you follow me on Instagram, then you've probably seen all of these photos from last weekend. 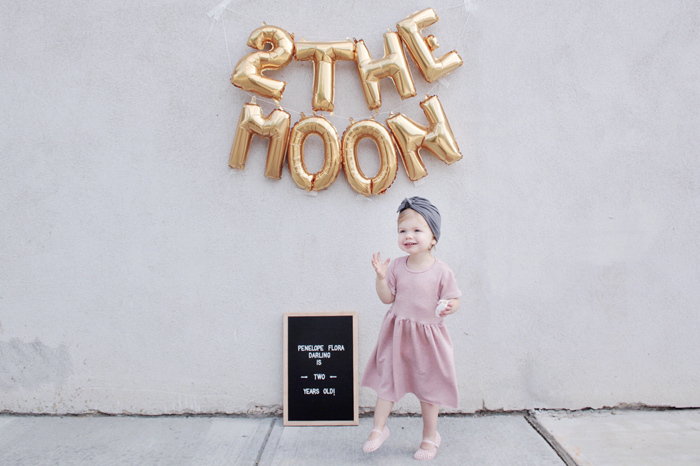 But I wanted to document them here too, because my baby is TWO! 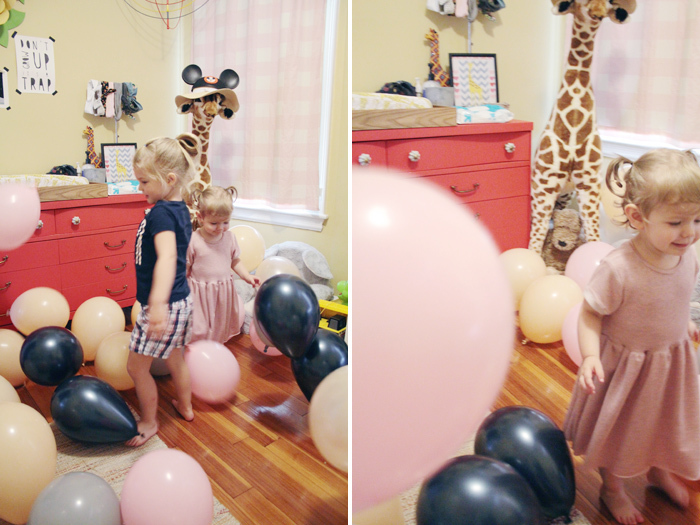 We had a small birthday party with friends over MDW, Daddy made her a galaxy cake, Mama went overboard decorating with balloons, and Penny got a scooter, binoculars, sit-n-spin, and so many toys. 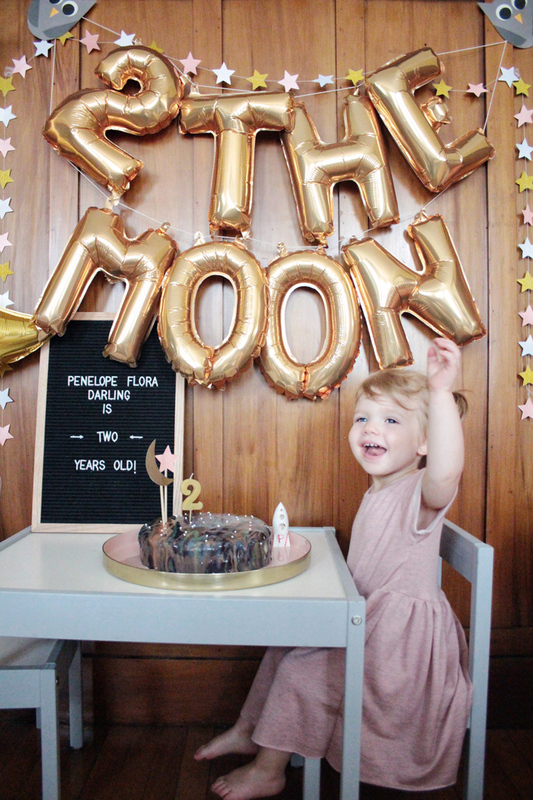 We love our big girl, and I'm still in denial that she's already two. Wasn't she born, like, yesterday?